Imagine sitting at a restaurant, enjoying a meal with your family when you see, across the way, a family who is not speaking to one another. The kids are on their gaming devices, the parents are both checking their email or texts on their phones. While this idea might make you cringe, it’s not all that uncommon in a day and age when we are always “on.” Looking for ways to get back to basics with your family? 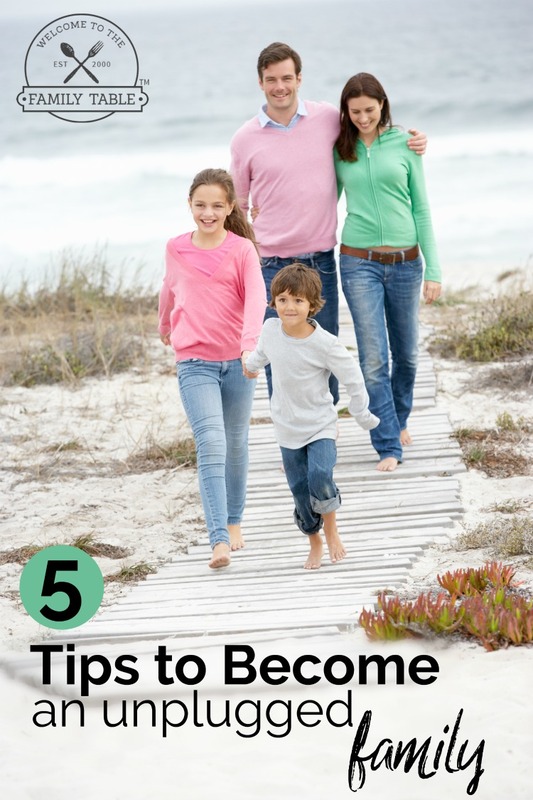 Here are 5 suggestions to become an unplugged family. Think about the last time that you did something as a family. Maybe it was a nice dinner together, or perhaps going out on the town. During your time with one another did anyone check their email or go on social networking? …Answer a phone call? We have all become so accustomed to always being available to those trying to reach us that we have a difficult time imagining not answering as soon as the phone rings. Unplugging; turning off the phones, TV and devices is a way for your family to clearly say to one another that you are each other’s top priorities and that everything else can wait while you take time for each other. While the idea of carving out such time may be attractive to you, it also can be difficult to put into motion. Here are some suggestions on how to make it happen. Just as you would schedule appointments for work, you must also clearly schedule your unplugged time. Take a look at a calendar and find a day when you know that you won’t be needed at work. Look for dates where there won’t be other things that take away from your family time. Then make sure that everyone in the family knows that that day will be for you. If you are concerned about extended family members needing to get a hold of you on your unplugged day, then set up a plan for what to do in event of emergency. Perhaps, if you have a house phone, the answer is to have them call that number only if absolutely necessary. Maybe giving them a neighbor’s phone number for emergencies would be a better fit. Whatever route you go, setting up an emergency plan will help your mind to be more at ease during your time away from technology. When planning for your time together, first you must define with your family what being unplugged will look like. What all are you taking a break from? Is the radio allowed? …TV? There are no rules to taking time away from being plugged in. You and your family can decide what most takes away from your time together and make the choice to go without those devices. 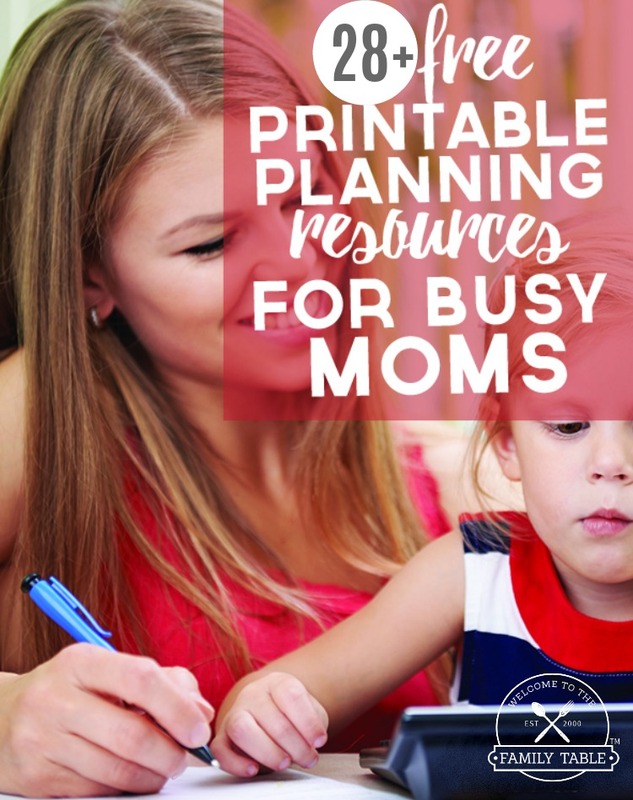 Once you’ve decided what you’ll do without, then comes the fun part: planning your day! Maybe playing basketball or soccer together, going to the library, or playing board games. However you choose to spend your day, make sure it’s in a way that you all will enjoy. A fun day, focused on your family, will motivate you all to make unplugged days a regular habit. Like with most things, practice makes perfect. The first time that your family unplugs, it may not go exactly as well as you have in your mind. Your kids may have a difficult time letting go of the games, or you may be antsy to check your phone. Each time you have unplugged days, try to add a couple more hours than you had together the time before. As you build your family’s stamina for time away from gadgets, they will begin to see that it is possible to do without. Once you and your family have grown used to turning off the devices for large periods of time, plan a weekend (or longer) trip during which no gadgets are allowed. Such a trip will allow for complete focus on your relationships with one another and the experiences that you’re having together. During your trip, do take a phone with you; it provides the security (and peace of mind) of knowing that everything is okay at home. Keep it off, aside from once each evening when you check to see if you’ve received any messages. Taking an unplugged trip with your family will help to reset your priorities and refocus the energy you have for time spent together. In spite of all the fun activities you plan for your family, chances are that your kids may complain and reach for their electronics AGAIN. We’ve found a great solution for limiting the amount of screen time that our children have. It is a brand new device, Circle with Disney. Circle has seamless ways to control: when the device turns off, filtering content, pausing the internet, insights (knowing what and how long a child/adult spends online and where). Learn more about Circle with Disney HERE. How do you encourage screen-free time in your family?